Dr. Ronald A. Lehman, Jr. is a nationally recognized expert in the treatment of adult and pediatric spine conditions. 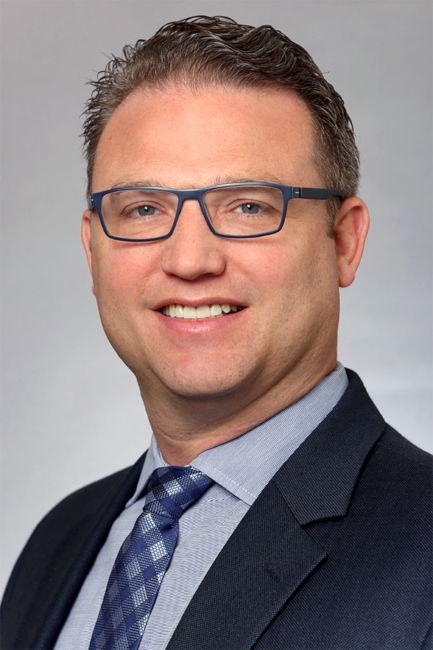 He specializes in complex spinal deformities including scoliosis, kyphosis, revision spinal surgeries, and minimally invasive applications for deformity surgery, as well as cervical spine, cervical disc arthroplasty/replacement, myelopathy and radiculopathy. Dr. Lehman also focuses on Minimally Invasive Spine surgery (MIS) of the cervical and lumbar spine, and spinal tumors/cancer of the cervical, thoracic and lumbar spine. Dr. Lehman received his MD from Jefferson Medical College, and completed his residency at the Walter Reed Army Medical Center in Washington D.C. He then completed his fellowship training in adult and pediatric spine surgery at Washington University School of Medicine in St. Louis, Missouri. Prior to joining the faculty at Washington University, he served as a Lieutenant Colonel (LTC) in the Army, receiving three Meritorious Service Medals (MSMs), the “A” Proficiency Designator and the Order of Military Medical Merit. He was the Chief of the Adult and Pediatric Spine Service, and the Consultant to the White House.. Dr. Lehman is the recipient of several Department of Defense (DOD) research grants totaling more than $10 million. He currently serves as the Program Chairman of the Cervical Spine Research Society (CSRS), Scoliosis Research Society (SRS), and the Lumbar Spine Research Society (LSRS). Additionally, he will take over as Chairman of the International Meeting on Advanced Spine Techniques (IMAST) next year. Dr. Lehman has over 120 peer reviewed publications.